On the 6th and 7th of November 2014 Foresee Research Group in cooperation with the Institute for the Sociology of Law and Criminology (IRKS), Austria organised a workshop „Potentials in Peacemaking” – Conflict resolution in intercultural setting in the CEE region. Our report on the training held as part of the 2013 Summer School can be reached here. You can read Gabriella Benedek's presentation, held on the High profile Workshop of the COREPOL project here. Coordinator of the whole project; Leader of WP10 Management; Leader of WP1 Alternative Epistemologies; Leader of WP8 Comparative Analysis; Task leader in WP9 Dissemination; and involved in all the other WPs. K.U.Leuven is ranked as 6th and 7th university in the competitive European Framework Programmes for research and technological development, FP6 and FP7 respectively, managing over 430 FP contracts in the recent past (2003-2009) for a budget of nearly 150 million euro. Launched in January 2007, the Leuven Institute of Criminology (LINC) is composed of about seventy professors and assistants involved in criminological research and education within the Department of Criminal Law and Criminology of the K.U.Leuven Faculty of Law. LINC is the most recent institutional incarnation of the criminological tradition in Leuven that started with the establishment of the "School for Criminology" in 1929. LINC intends to continue the Leuven tradition of combining solid research with a deep commitment to society. Leader of WP2 Conflict Transformation Analysis; Task leader in WP1 Alternative Epistemologies; Responsible for tasks in WP8 Comparative Research. NOVA is a social policy research institute under the auspices of the Norwegian Ministry of Education and Research. The aim of the institute is to develop knowledge and understanding of social conditions and processes of change. NOVA’s Strategic Plan 2010-13 defines the institute’s prioritised research areas to be ageing and life courses, comparative welfare, child protection, youth and international migration and transnationality. NOVA has a highly qualified and multidisciplinary staff of nearly 90 researchers. More than 140 research projects are currently in progress, of which a substantial number is in cooperation with international partners. Leader of WP3 Restorative Justice Models; Leader of WP9 Dissemination; Responsible for tasks in WP1 Alternative Epistemologies; and Responsible for tasks in WP2 Conflict Resolution Analysis. The EFRJ has been founded in the year 2000. 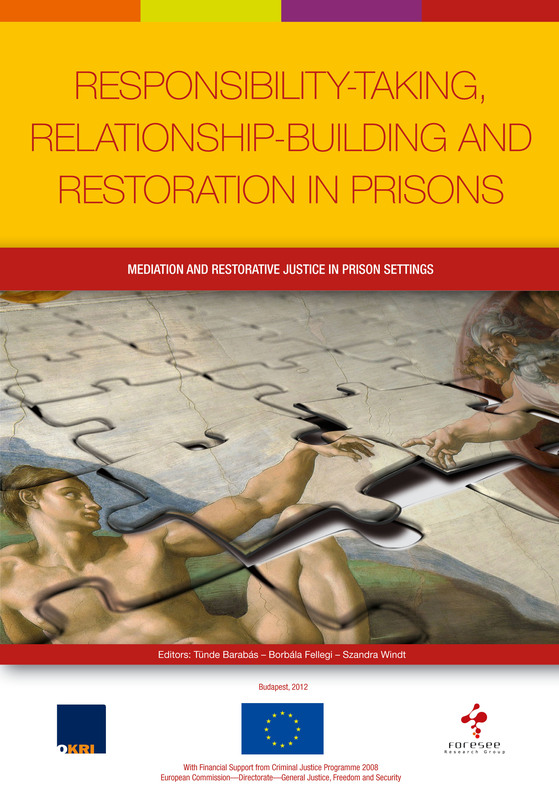 The general aim of the Forum is to help establish and develop victim-offender mediation and other restorative justice practices throughout Europe. 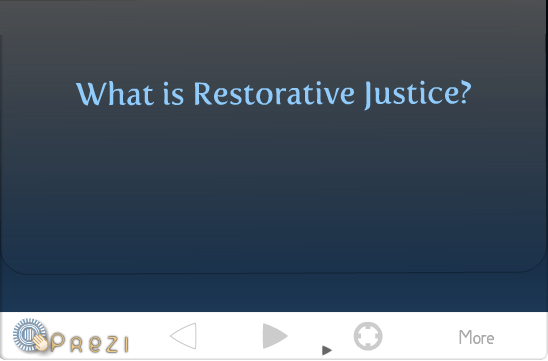 To further this general aim, the Forum promotes international exchange of information and the development of effective restorative justice policies, services and legislation, and develops the theoretical basis of restorative justice through stimulation of research. In the realization of the above-mentioned general aim and objectives, the Forum is entitled to make representation to and/or liaise with European and international institutions or organisations, including the Council of Europe, the European Union and relevant non-governmental organisations. Leader of WP4 Activating Civil Society; Responsible for tasks in WP1 Alternative Epistemologies, WP5 Practicing Encounters, WP6 Fostering Victim-oriented Dialogue, WP7 Activating Community through a Multi-agency Approach, and WP8 Comparative Research. IRKS is Austria's outstanding research institution in the field of criminology, sociology of law and policing. Founded in 1972 it can draw on a remarkable experience in scientific research that has repeatedly shaped Austrian legislation. The Institute has an excellent reputation for its capacity in planning and designing legal or organisational reforms as well as in analysing its implementation. In consultancies the institute's objective is to ally practice and science, data and theory along with contributions from different disciplines in order to advance research and law. Leader of WP5 Practicing Encounters; Responsible for tasks in WP1 Alternative Epistemologies, WP4 Activating Civil Society, WP6 Fostering Victim-oriented Dialogue, WP7 Activating Community through a Multi-agency Approach, WP8 Comparative Research, and WP9 Dissemination. Foresee Research Group is an interdisciplinary think tank of young social scientists. 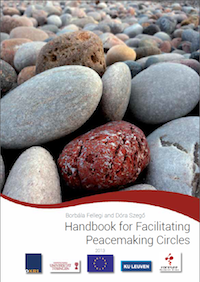 Its research and project activities focus on promoting the principles and practices of alternative dispute resolution and helping the integration of marginalised groups in the society. The organisation, with its training, programme development, advisory, research and network building, aims to contribute to the prevention and reduction of social inequalities. In addition, the group also aims to spread the view and methodology of alternative techniques of conflict management and conflict resolution, to improve the objective survey of forms and measures of social exclusion, to aid the reduction and prevention of prejudices arising in society and to facilitate integration and equal opportunities for social groups in marginalised or challenging situations. In the course of planning and executing projects, Foresee always supports building extensive partnerships with its clients and cooperating organisations. They believe that effective answers to the problems of our society require unity and continuous network building between multiple professions and institutions. Leader of WP6 Fostering Victim-oriented Dialogue; Responsible for tasks in WP1 Alternative Epistemologies, WP4 Activating Civil Society, WP5 Practicing Encounters, WP7 Activating Community through a Multi-agency Approach, and WP8 Comparative Research. VDS is a non-for-profit, non-governmental organisation, founded in 1997. Its aim is to unite as many academics and professionals as possible who are interested in the development of victimology and protection of victims of crime, human rights violations and war, and this regardless of their gender, religion, ethnicity and other features. The main fields of research, expert work and education of VDS are: Domestic violence; Trafficking in human beings; Women‟s crime (especially its connection with domestic violence); Women in prison; Violence against women in war; War victimization; Truth and reconciliation; and victim support services and rehabilitation. VDS carried out two surveys on the prevalence, structure and characteristics of domestic violence against women in Serbia. Results of the first survey, presented in the book Domestic violence in Serbia (2002, edited by Vesna Nikolic-Ristanovic), contributed significantly to raising awareness of professionals and the public in Serbia on the consequences of domestic violence on women. It was also used as a basis for advocacy activities of VDS that resulted in important legal changes: entering of domestic violence as a separate criminal offence in the Criminal Code (in 2002) and the protection orders in the Family Code (in 2005), as well as a restraining order in the Law on Misdemeanors (in 2005). Leader of WP7 Activating Community through Multi-agency Approach; Responsible for tasks in WP1 Alternative Epistemologies, WP4 Activating Civil Society, WP5 Practicing Encounters, WP6 Fostering Victim-oriented Dialogue, and WP8 Comparative Research. - Engagement and training with police officers, prison staff, social workers, and politically motivated prisoners. The university team has therefore built up a significant amount of experience around training and the development of practices in the area of restorative justice. 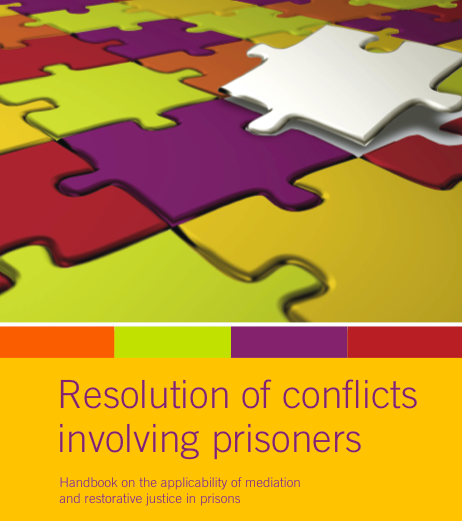 These practices are focused on restorative responses to harm on a continuum that ranges from the impact of breakdown in neighbouring relationships to the impact of petty crime, the damage caused by serious offences as well as the harm caused by the armed conflict that society in Northern Ireland endured. The University team sees restorative justice as a key contribution to building a more equitable, just and inclusive society. dr Eva Győrfi is a lawyer, professional of communication, mediator, and real justice practitioner. Her special fields of interest are mediation, dialog building, child welfare, community-based conflict resolution, and other ADR methods. Her works and main professional experiences are collected from the area of mediation and restorative justice projects as of Partners for ADR Culture at schools (Institute of Educational Research and Innovation), the Small village mediation project (Family Child Youth Association), the EU-AGIS2006 project called Multidimensional restorative justice for everyone. Beside these, Győrfi has extended practice as project leader, facilitator and trainer. You can watch our short introductory film here.